Bandwith using Netflix and Ooma together? Considering Netflix, anyone experiencing issues using them both? 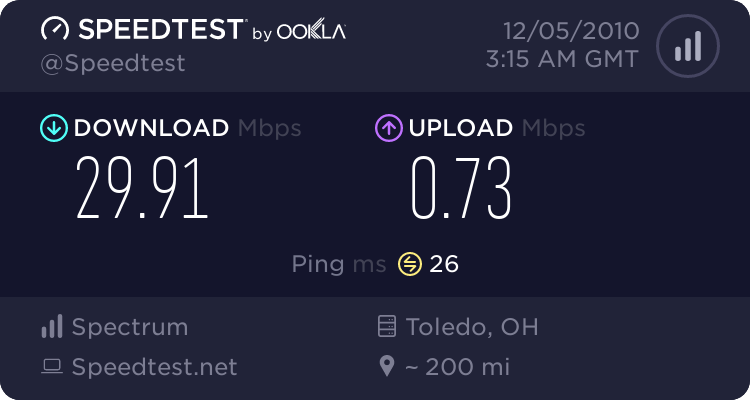 If I get an ooma call, will that degrade other services significantly? Re: Bandwith using Netflix and Ooma together? Upload looks kind of low for cable. Thought they should be at least 2Mbps. lbmofo wrote: Upload looks kind of low for cable. Thought they should be at least 2Mbps. those numbers are almost the same as mine with Time/Warner and I am in So. California. I have roadrunner turbo thats about as good as it gets with roadrunner residential service in NE Ohio. I have Road Runner (yuk) simply because it is my only choice. My numbers are only about half of the figures in your chart. I have Netflix and no problems at all.